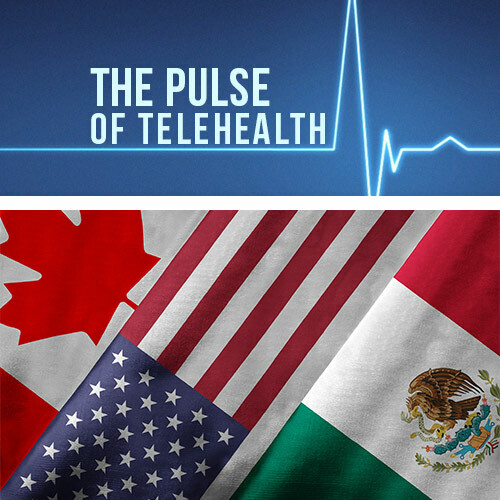 Telemedicine is trending in the United States and is expected to grow tremendously in the global market, but how are those trends being reflected in our neighboring countries of Mexico and Canada? Let’s take a look! According to the 2015 Canadian Telehealth Report, the use of telemedicine has increased significantly over the last couple of years. 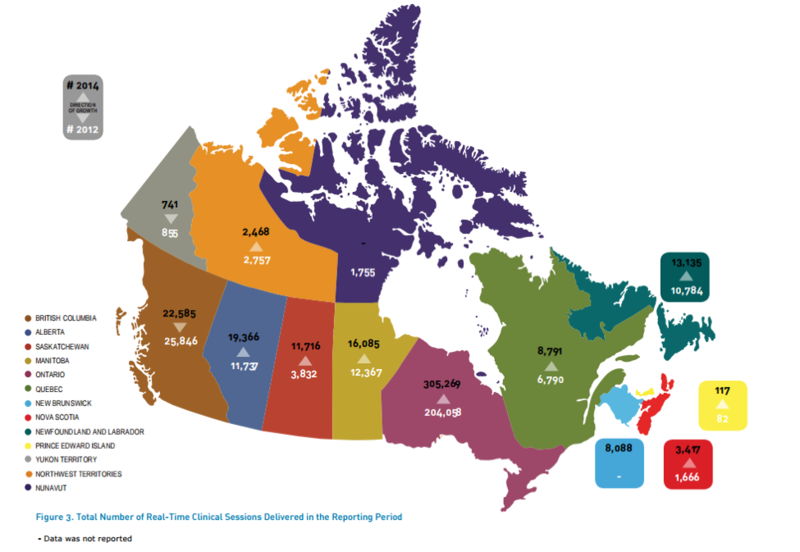 Across Canada, the total number of clinical telehealth sessions increased from 282,529 in 2012 to 411,778 in 2014 – an approximate 45.7% growth in two years. A breakdown of these statistics is displayed in the following graphic. Though there is not a national framework for telemedicine in Canada, there are strict regulations for the practice, which are maintained through jurisdictional licensing and standards. Requirements for practicing telemedicine in Canada are imposed by the Act Respecting Health Services and Social Services. 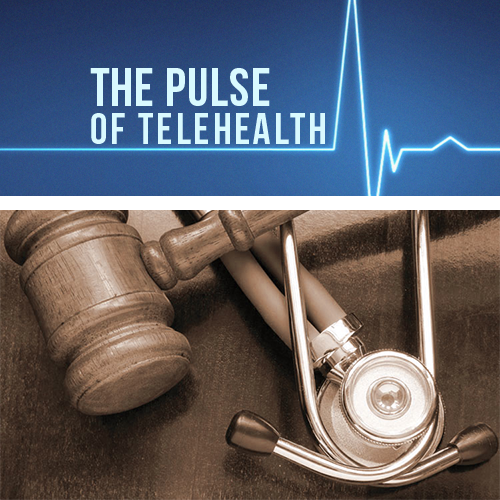 Additionally, the Colleges in British Columbia, Alberta, Manitoba, Saskatchewan, Ontario, Québec, New Brunswick, Nova Scotia, and Newfoundland and Labrador have published telemedicine bylaws or policies. Of course, as in all other medical settings, the Code of Ethics is abided and patient’s security and privacy is placed at utmost priority. 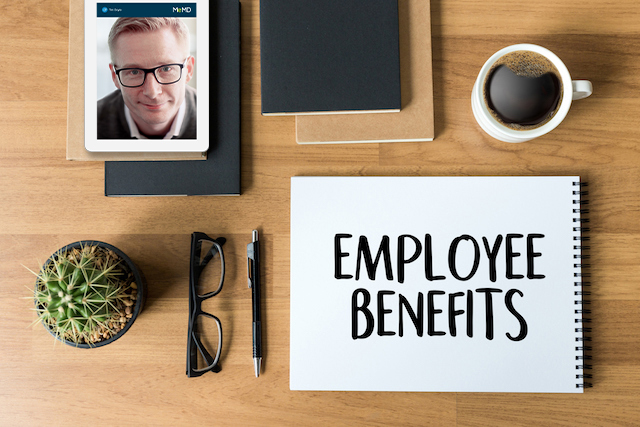 There are a number of different successful applications of telemedicine in Canada, but one notable occurrence is the spread of medical care to areas that were previously neglected. A recent report by the public agency Health Quality Ontario showed that people in northeastern Ontario have much more limited access to family doctors than those in urban settings. In this setting, telemedicine services are making a significant difference in the provision of health care. According to the Canadian Medical Protective Association, telehomecare programs are able to provide remote monitoring and health coaching for patients with congestive heart failure (CHF) and chronic obstructive pulmonary disease (COPD). Telemedicine is also used to send electrocardiograms, blood pressure measurements, and lung function readings from patients to doctors. 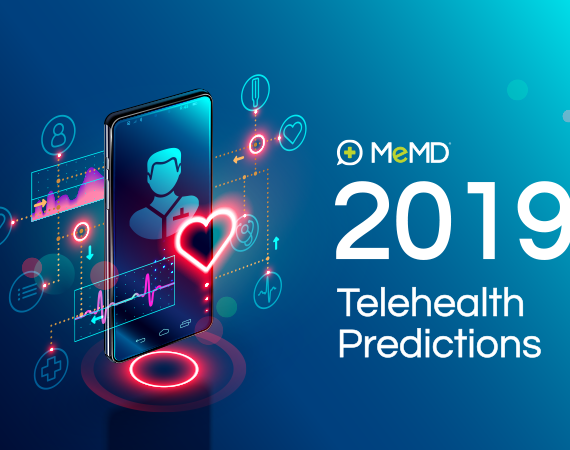 Like in the United States, the use of telemedicine in specialized care, such as telecardiology and telemonitoring, makes a significant impact on quality health care. Early this year, Mexico’s Ministry of Health announced that telemedicine is an indispensable tool for advancing the quality of health services in the country. Given that many communities in Mexico are located far from a health unit center, telemedicine would allow more patients to receive the care they need. Even better, patients would be able to gain access to highly specialized medical care and therefore, treatment of complex diseases. Individuals with chronic illness would no longer have to move to a larger city, or even to the United States, to get the medical care they need. However, implementation of telemedicine in Mexico has been difficult to achieve. Luckily, recent collaboration with the United States has shed some light on the idea. In a recent study regarding the future of Mexico and U.S. health policy integration, telemedicine was examined as the means for vital exchange of personal health information between Mexico and the United States. 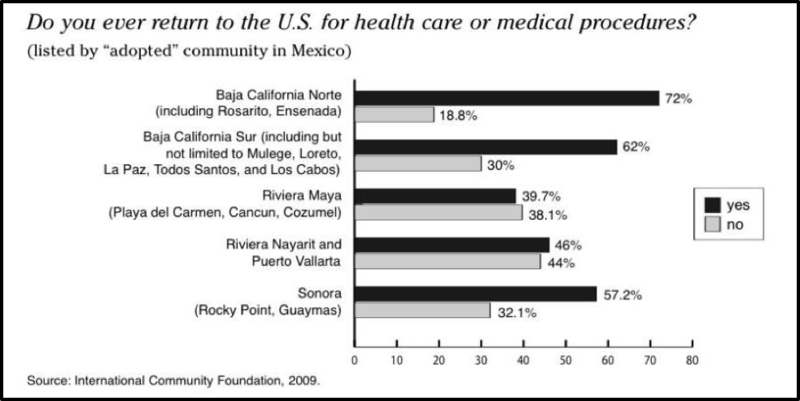 A 2009 census (shown above) showed the likelihood of patients in Mexico returning to the U.S. for health care of medical procedures. But what if they could get the medical advice they needed from the comfort of their own homes in Mexico? That’s where telemedicine comes in! Some of the most important hospitals in the United States, including Massachusetts General Hospital, Mayo Clinic, and Cleveland Clinic, are paving the way for that type of collaboration. They provide telemedicine services to different parts of the world, including Mexico. So, though telemedicine has not been fully implemented in Mexico quite yet, such collaborative programs are sowing the seeds for a more elaborate implementation of telemedicine across the country.